The end-of-the-year holidays are bittersweet for Heather Von St. James. Nine years ago, on November 21, she sat in her doctor’s office and listened, in shock, as he delivered the message that would change her life. She had malignant pleural mesothelioma, a lung disease similar to cancer with a typical life expectancy of 15 months. She was 36, married, and with a new daughter just a few months old. She had everything to live for. Today she is a spokesperson working to eliminate this devastating but preventable disease. She contacted me because she knows that DIY home improvement projects can expose people to the dangers of breathing asbestos fibers – the cause of mesothelioma. 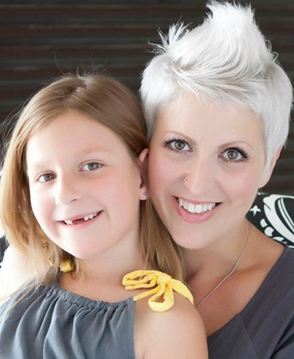 Heather lives today because she underwent surgery to remove one lung, plus radiation and chemotherapy treatments. Many who are diagnosed are not so fortunate, and live shortened, compromised lives. Heather’s dad worked in construction. Many homes built before 1970 contain asbestos products. It can take 20 years for you to show symptoms of mesothelioma to appear after a period of prolonged exposure, such as working assorted projects in an old house for years. Don’t put yourself or your family at even minimal risk, however. When asbestos fibers enter the lungs they stay there and cause inflammation, scarring, and fluid retention. In time, this can lead to lung cancer, tumors and cancers in other organs. You can't tell whether a building material contains asbestos simply by looking at it. If you are planning any remodeling projects that require disturbing the structure (walls, flooring, cabinets, ceilings, insulation, roofing, siding, ductwork) be aware that asbestos may be present. If the home was damaged by storms, water, fire, or simple aging, materials containing asbestos may now be compromised to make the fibers breathable – not what you want! The best way to deal with any existing building material that contains asbestos is to leave it undisturbed. Once the fibers become friable -- the way they would if you begin removing things like old popcorn ceiling, asbestos floor tiles, exterior asbestos siding, or old heating ductwork – you are in danger of inhaling or ingesting the invisible asbestos fibers. If you are buying a home built before or refurbished prior to 2000, especially if you plan to do home repairs or remodeling, get information about possible asbestos products in the home from a home inspector or from your real estate agent, and the from the present home owner. When asbestos is a possibility, you should hire a professional asbestos inspector or an industrial hygiene firm to determine where, how much, and how stable the material is. He will advise you on remedial actions to take. Here is a very short list of just some of the common places a DIY home improver will come across asbestos. You can see the complete list of asbestos-containing material used in home construction at this site. The Environmental Protection Agency does a concise and helpful job of spreading the word about the problems of asbestos. It’s a must read if you are a homeowner. If the asbestos can’t be contained or otherwise encapsulated, you will have to have certified asbestos removal professional remove the asbestos product, or find a way to leave it in place and safely cover it. For example, you can lay a floating laminate floor or carpeting over asbestos floor tile. You can put vinyl or wood siding over asbestos exterior shingles. What we once thought was a wonderful product because of its insulating and fireproofing qualities has become a toxic substance. Don’t stay in the dark. Please educate yourself about this issue, because there is a right and a very wrong way to deal with asbestos!